Depressed? Fed up with life? Don't be! Allah is just a prayer away! I come across cases where some people fall into depression due to some unforeseen circumstances and just give up on life easily. Even those who are well to do or have no financial woes at times just take the easy way out and kill themselves. That's just stupid! Let's call a spade just that. Be straightforward about it. There are billions of others out there in different countries trying their level best to live! Just to be able to breathe and survive from day to day, some even from hour to the next precious hour. Many a billionaire flush with cash will give up their millions just to be able to take the next breath and see the world for one last time. Have you not seen the hospital wards or visited someone in the ICU and see how much their will to survive for another day? What is so bad about your life that you find nothing important to live for? Don't you see how your loved ones pine for you? Your grieving worried mother? Anguished father? Crying brother or sister? Your wife or husband? Son or daughter? Heart broken friends? You are here not by a chance. You are a living creation that Almighty Allah consented to be. Not by a fluke of circumstances but as one of Allah's Will! If you can read this and understand what I am trying to share here, then by Allah, you are a person who can read and write. You can as a human being, understand what my article here is saying! In a way, we can count ourselves lucky and so blessed because we have the latest communication tools and gadgets before us today. Look back at how things were 50, 60 years back and realize how only the very privileged were able to get information and news that at times were so reserved only for the very, very rich and powerful persons! Today, you and I are able to exchange news and views with each other in real time although we may be thousands and thousands of miles away from each other. With the advent of the internet, we can even see and speak to each other over the internet through applications such as Skype, Facebook, Yahoo Chat, Whatsapp, etc. Whatever is troubling you and you do not know how to deal with the problem, just reach out to someone who knows and cares for you! Whether you like it or not, there is a whole world of people all around you. People who do give a hoot about you! You didnt just drop down into this world from the heavens above! You my friend are the result of Allah's Will. You didn't just come into being on your own. Your mum and dad had a physical union and you came to be just like me and all other human beings, were conceived out of love and affection. I know that quite a few out there were conceived ether out of wedlock or as a result of unholy unions but then again, it is up to the circumstances that led to it. Yet, it is Allah Who decides the outcome of such a situation and how the particular individual goes about handling it. Life is what you and I make it to be! All it takes is for us to use our God-given intelligence to try and solve our 'problems'. Problems won't solve themselves or dissipate overnight. You want something, then you have to do something right in order to acquire it! Anything and everything comes to be as a result of a change in events. From one thing to another. For example, one has to carry out a series of actions to get a result. Watch how one makes bread from flour, salt, yeast and water? In order to gain something, we have to go through several procedures. Success doesn't come to those who do nothing! It might be shown in fictional movies though but don't you start daydreaming that it will happen to you too. :P No sirree! Look back at your life's journey. From being a helpless little baby, you are now someone who can decide for yourself as to what you need to do to change your situation. 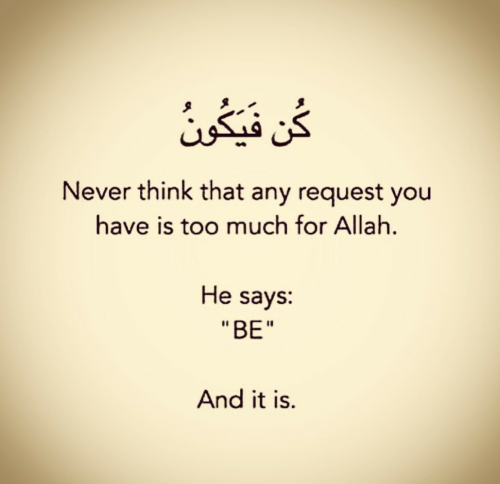 You have been blessed by Allah with the Gift of Choice. You can and will be able to help yourself get out of the rut of feeling despair for yourself. If you are sad because someone whom you trusted or loved chose to end your relationship with him or her, think that Allah has a better choice for you just waiting for you to attain provided you go for it. A rubber tree needs to be tapped in the right way before the latex oozes out and flows into the collecting cup. The rice has to be harvested, dried and thrashed before you get the grains that you have to wash and cook before you get to consume it as your meal. The fish has to be caught and then washed and processed before you get to fry or steam it to eat it as part of your breakfast, lunch or dinner. Anything and everything that we need has to be made in order to fulfill our needs. Feeling sorry for ourselves but not doing something effective and positive wll lead us nowhere. We must learn to cherish what we have and what we can have by going for it in the right manner. We decide whether we are going to be happy or sad! We decide whether we remain a zero or turn into a hero. We don't need to drown in despair. We need to look at others who are in a worse off situation before we decide to throw in the towel! Look at all the losers n life. They didn't need to screw up their life but they did due to their making the wrong choice when they came to the crossroads of life. I love listening to and watching Malaysia's best Nasyeed group RAIHAN perform their award winning motivating song titled 'SYUKUR' which is about being grateful to Allah and appreciating all that He has given us. Watch and try to dwell upon its meanings. We need to be thankful for all that Allah has given us. Here we are with a laptop, desktop computer or smartphone connected to the internet, able to access the internet whilst there are billions of others out there who don't even have a basic radio. I watched a good video recently which showed how we need to appreciate what we have with us before it's taken away from us. Sometimes we forget to appreciate what we are currently enjoying in our life until some tragedy comes up and we lose that which we didn't appreciate or cherish. Biduanita Uji Rashid atau nama sebenarnya Fuziah binti Haroun Al Rashid yang juga seorang pelakon filem2 Melayu zaman 1970an cukup terkenal di seluruh negara Malaysia dan turut mempunyai jutaan peminat lagu2 Melayu di Republik Singapura, Kesultanan Brunei Darussalam, Republik Indonesia, Thailand dan Filipina. Uji Rashid pernah berduet dengan Hail Amir, Datuk DJ Dave, Sudirman Hj Arshad dan Latiff Ibrahim serta lain2 penyanyi. Beliau juga pernah berlakon di dalam beberapa filem Melayu zaman 1970an ke tahun 2000. Maklumat lanjut tentang biduanita pujaan ramai ini boleh di dapati disini. Saya berpeluang menemui Uji Rashid semasa kami sama sama menyaksikan Konsert Bintang2 Lagenda zaman kegemilangan filem2 Melayu dari Studio Malay Film Productions, Jalan Ampas, Singapura yang berlangsong pada 9hb April, 2016 di Auditorium Bandaraya DBKL, Jalan Raja Laut, Kuala Lumpur. Uji Rashid sudi di temuramah dan ini adalah ucapan khas beliau untuk para peminatnya yang menyambut kedatangan bulan2 mulia Rejab, Syaaban dan Ramadhan tahun 1437 Hijrah. Uji Rashid bergambar kenangan bersama Seniwati Zaiton, Bintang Lagenda dari Zaman Kegemilangan Filem Melayu, Studio Malay Film Productions, Jalan Ampas, Singapura. 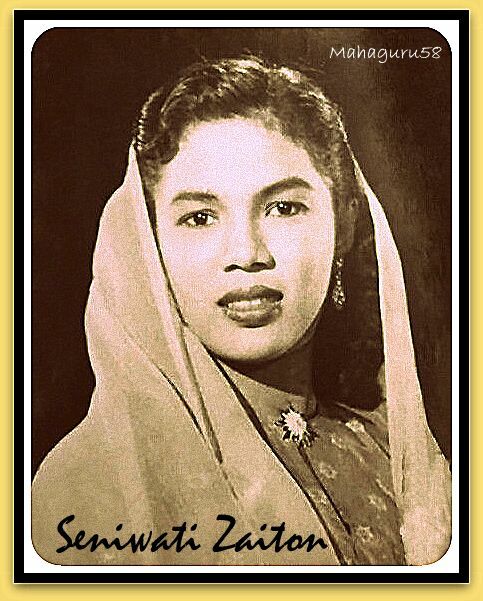 Seniwati Zaiton sering berlakon menjadi heroine filem Seniman Negara, Allahyarham P.Ramlee. Di bawah ini pula Uji Rashid bergambar bersama seorang lagi Bintang Lagenda iaitu Seniwati Hashimah Yon. Juga pernah menjadi heroine filem2 P.Ramlee. Lagu 'Seloka Hari Raya' nyanyian Uji Rashid dan Hail Amir tetap di mainkan orang ramai setiap Aidil Fitri sampai lah ke hari Kiamat nanti! Lagu Evergreen! Lagu2 Uji Rashid dan Hail Amir sampai sekarang tetap popular dan sedap di dengar biar pun berkali kali! Semoga Uji Rashid terus berbahagia bersama keluarga nya yang tersayang dan di kurniakan Allah dengan segala kebaikan di dunia ini dan di akhirat nanti. Seniwati Zaiton adalah di antara Bintang Lagenda Malay Film Productions, Studio Jalan Ampas, Singapura yang masih hidup dan telah menghadirkan diri ke Auditorium Bandaraya DBKL, Jalan Raja Laut, Kuala Lumpur baru baru ini di Malam Bintang Lagenda. Seniwati Hajjah Zaiton, 79 tahun, hadir bersama Seniwati Hashimah Yon, Seniman Komedi Wahid Satay dan lain2 seniman serta seniwati dunia filem klasik Melayu Singapura. Ada lagi cerita yang akan saya sampaikan tentang pertemuan bersejarah saya dengan Bintang2 Filem Lagenda zaman kegemilangan Malay Film Productions, Studio Jalan Ampas, Singapura. Hindu Brother @ Suventhiran Selvaraj supports Dr.Zakir Naik's programs! 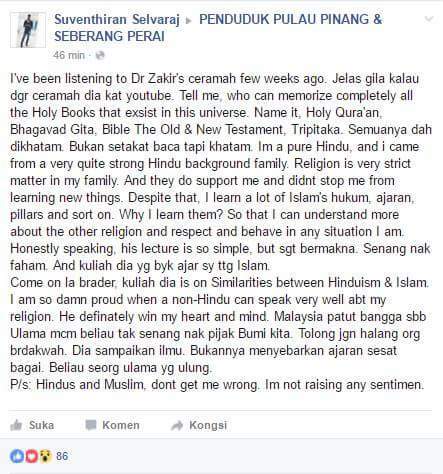 That's the difference between someone who values knowledge and appreciates the excellent work of Dr. Zakir Naik, a well renowned Comparative Religious Studies eminent Caller to Islam and the likes of Penang's Deputy Chief Minister Ramasamy who has a severe case of the 'diarrhea of the lip' and convoluted mindset'! Both are Hindus from Penang but Suventhiran Selvaraj shines forth as a true blue Malaysian who is all for the sharing of useful knowledge between us. I for one respect such a well balanced youth like Suventhiran who comes across as a level-headed person who knows how to differentiate between a Comparative Religious teacher like Dr. Zakir and those who go around insulting others for no rhyme or reason. On the other hand, we have someone like this Ramasamy fellow who often spews forth hurtful words and caustic comments labeling Dr. Zakir Naik as a 'Satan' offending peace loving Malaysian Muslims such as us. I have watched Dr. Zakir Naik successfully hold the event titled ' SIMILARITIES BETWEEN HINDUISM AND ISLAM' which was attended by hundreds of thousands of Hindus and Muslims over there in Chennai, Tamil Nadu, India itself where there were many appreciative members of the Hindu audience who thanked Dr.Zakir for his valiant efforts to bring about a mutual understanding between Hindus and Muslims. No one was harmed in any way and everyone was happy to have attended the talk and actively participated in the open Question & Answer session. We who are living here in Malaysia need to know more about each other's religions and to come to a mutual understanding between us. Dr. Zakir is not forcing anyone here to become Muslim! He is here to answer anyone's questions about Islam or if they want to know what it is about? He is the world's most eminent 'Student' of Comparative Religion and can easily relate to any questioner the relevant scriptures from Islam, Christianity, Hinduism, Buddhism, Sikhism, Jainism, etc. and explain in depth about those revelations like no one else can! When narrow minded persons object to such a beneficial series of lectures to be held here which will enable interested parties to learn more about whatever it is that has been at the back of their minds, then it will be a tremendous loss to the truth-seekers. 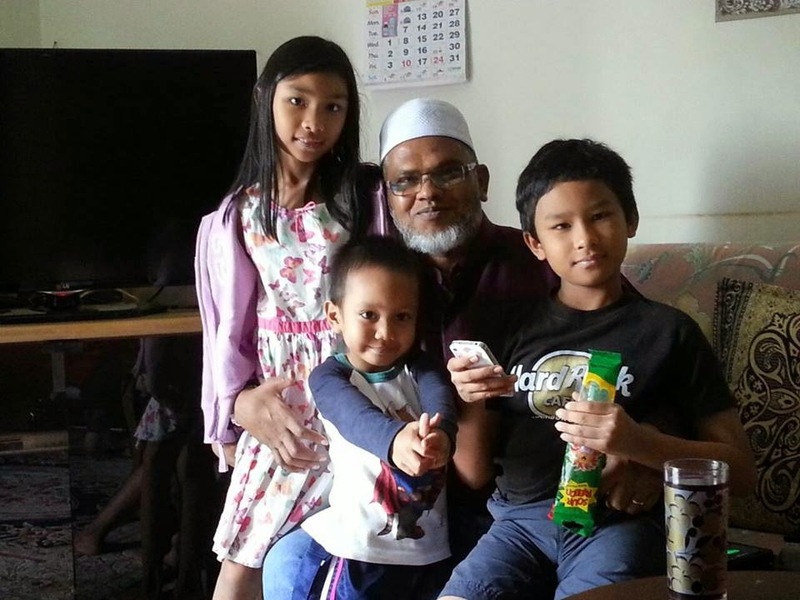 At the time of this posting, the authorities have reversed their earlier decision to stop Dr. Zakir Naik from delivering his lectures at UTem and in Stadium Bukit Jalil, KL after various parties consisting of concerned Malaysians protested against such a ban by the Inspector General of Police! Here is the IGP's update on the matter. 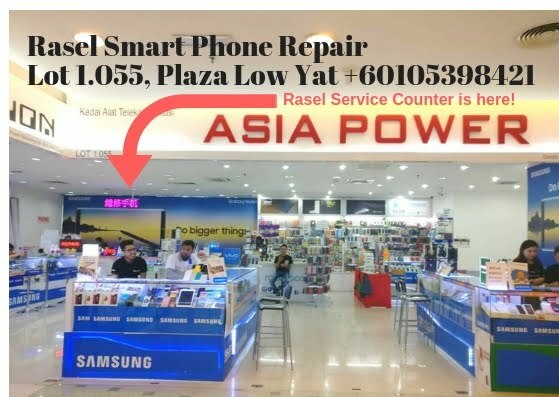 Malaysia still has a long way to go before becoming a mature society where its rulers and citizens can deal with such situations in a calmer, more harmonious manner. Lack of exposure to the truth and the knee-jerk reactions and responses of those who hold authority over the country will further deteriorate our common understanding and religious peace and harmony. We need to make a serious effort to strengthen our spirit of tolerance and acceptance of each other's choice of faith and beliefs. Sahih International: Invite to the way of your Lord with wisdom and good instruction, and argue with them in a way that is best. Indeed, your Lord is most knowing of who has strayed from His way, and He is most knowing of who is [rightly] guided. Pickthall: Call unto the way of thy Lord with wisdom and fair exhortation, and reason with them in the better way. Lo! thy Lord is Best Aware of him who strayeth from His way, and He is Best Aware of those who go aright. Yusuf Ali: Invite (all) to the Way of thy Lord with wisdom and beautiful preaching; and argue with them in ways that are best and most gracious: for thy Lord knoweth best, who have strayed from His Path, and who receive guidance. Muhammad Sarwar: Call (the pagans) to the path of your Lord through wisdom and good advice and argue with them in the best manner. God knows well about those who stray from His path and those who seek guidance. Mohsin Khan: Invite (mankind, O Muhammad SAW) to the Way of your Lord (i.e. Islam) with wisdom (i.e. with the Divine Inspiration and the Quran) and fair preaching, and argue with them in a way that is better. Truly, your Lord knows best who has gone astray from His Path, and He is the Best Aware of those who are guided. Arberry: Call thou to the way of thy Lord with wisdom and good admonition, and dispute with them in the better way. Surely thy Lord knows very well those who have gone astray from His way, and He knows very well those who are guided. I believe that Dr. Zakir Naik is doing just that! May his visit benefit everyone of us. Ameen. Denai Alam Recreation & Riding Club ~ A place for Families to Ride, Relax and Feast well! One thing that Denai Alam Recreation Club members and guests are quite happy about apart from enjoying the most affordable horse riding membership fees are the various, mouth watering, tasty and delicious Malaysian favorite foods and drinks prepared by the chefs there. I was there last Sunday to do a photo-shoot and fortunate enough to record their views about the foods & beverages prepared for members and guests alike. DARC's owner Terry Teo welcomed me to the club warmly and offered me a refreshing ice cool glass of watermelon juice and ordered for me a plate of DARC's famous Char Koay Teow! 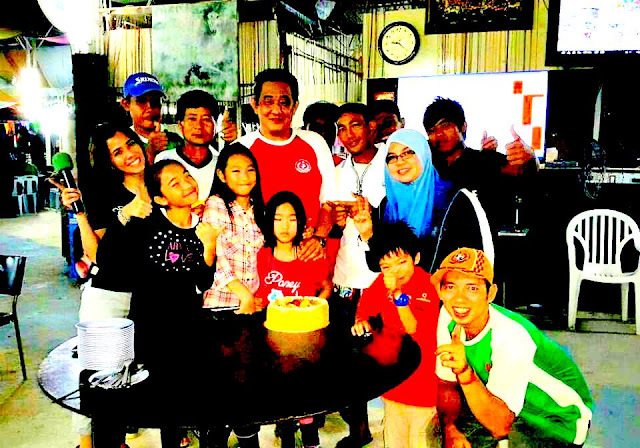 Denai Alam Recreation & Riding Club is managed by Brother Sulaiman Tang Abdullah (Red T-Shirt in the middle) who is also DARC's Master Chef! 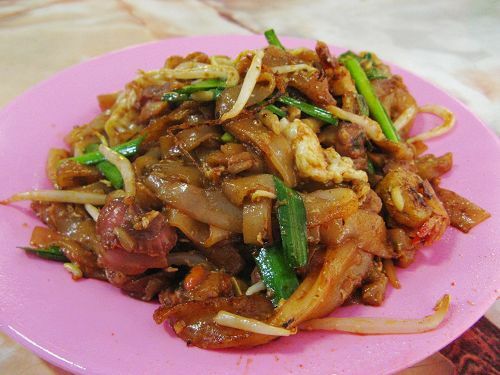 It is he who prepares DARC's famous Penang Char Koay Teow and other favorite Malaysian dishes! I then went around taking photos and videos of the club members. I was introduced to DARC's cheerful Public Relations officer, Nadia. She was a friendly and charming lass hailing from Jogjakarta, Indonesia. Here is a short video that I have produced highlighting my visit. There was also a mini farmers market going on at the side of the main guests area where fresh farm produce and fruits were on sale. Here are some photos. DARC is just so fascinating. It's got just about everything that most of us would be interested in. Horse Riding for everyone. Splash pools for the kids. Fresh Produce market for the housewives. Trampoline for the kids and teenagers. Archery for those who are into such sport. Trail Riding has just been restarted. Fantastic Malaysian favorite foods for those who love enjoying delicious Nasi Padang, Char Koay Teow, Nasi Lemak, all kinds of healthy beverages and fresh fruit juices, Ais Kacang, etc. I managed to record several videos of satisfied and happy DARC members sharing their stories and views about the club's finger licking delicious delights. Come let's watch! I will be following up with more videos and photos of my photo-shoot at DARC in the next article. * This is a Read N Write Content Writing Assignment. 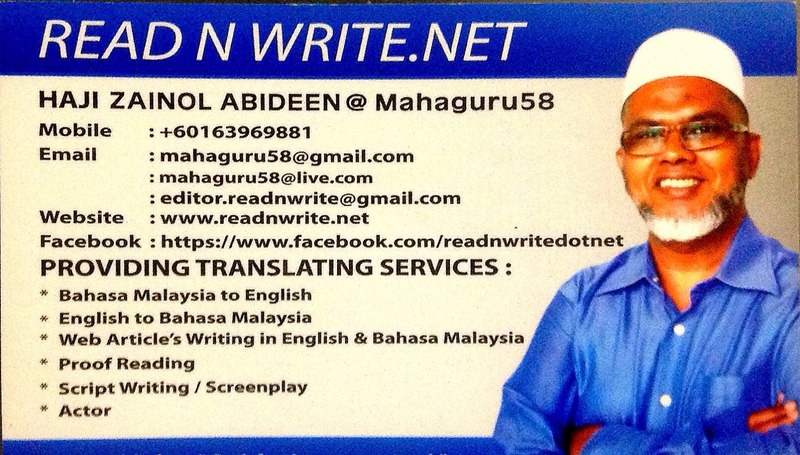 If you wish to have your business highlighted, you are quite welcome to contact me to discuss terms & conditions.